Do work. The Strength and Conditioning Manual is a 10-week strength and conditioning program designed to improve one’s strength and overall fitness level. With heavy-weight lifting and high-intensity interval training, the program challenges the whole body, both anaerobically and aerobically. The Manual anticipates that you will work out four days a week, with two days of built-in rest, and one run day each week. You will proceed through the Manual day by day, just as you would a daily calendar. "I turned 30 last year and I was like most guys reaching that age, anxious. I entered into my 4th decade of life soft, stuck in my gym-ways and often lost. I have worked out for years but in the last several years, entering the gym was like entering the super market, full and not sure what I wanted to buy. Frankly, I needed something new. So I bit the bullet and bought this manual. From day one I have been hooked. Not only are the workouts challenging, they're also organized. This manual gave me the firm foundation I lacked as I turned 30. I recently turned 31 about 7 weeks into the manual and I can honestly say I entered 31 stronger, firmer, more confident and healthier. I still have a TERRIBLE diet, but somehow, when I stick to the manual, my body continues to get stronger and my muscles continue to grow. For example, my deadlift went from a struggling 175lbs. to, today, 9 weeks later, hitting a new PR of 315lbs. I'm back to benching what the 25-year-old self could bench, and I'm on schedule to exceed that. I can't stress to you enough, BUY THIS MANUAL. You're truthfully spending $15 for a personal trainer over the next 10 weeks. Well worth the money and time. I highly recommend this if you need a fresh new start, a better foundation for working out, or just want to achieve overall full body health." "Best workout program I've ever followed. GET THIS BOOK. This workout program has made me stronger and more athletic. Each day is something different and the workouts do not last more than an hour. I'm a busy person and making it to the gym can sometimes be hard, but knowing I'm only working out for an hour makes it ideal. This is the perfect workout for someone who is a student, or has a full-time job. There are no complicated movements involved in this book -- everything is straightforward. I had a friend do a workout with me and he had to buy the book immediately. These workouts are fun! No matter your body type I think this workout program will make you stronger and more athletic. 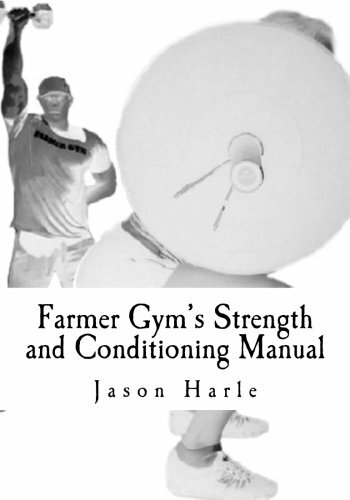 I highly recommend this book to anyone that needs a great workout plan to follow." How to: Start your clock, then perform 5 Pull-ups, followed by 5 Dumbbell Push-presses, followed by 10 Burpees, followed by rest for as little or as long as you need. Once you are ready, repeat the 5 Pull-up, 5 Dumbbell Push-press, and 10 Sit-up movement pattern. Perform this alternating exercise process for up to 30 minutes.